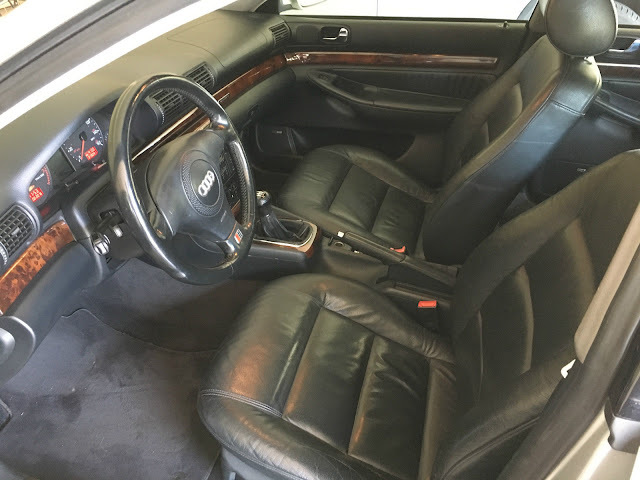 The B5 generation Audi A4 was an entry level luxury sedan from Audi designed to compete with BMW 3-series and Mercedes-Benz C-class. By modern standards it is a small entry level sedan (closer to the size of an A3 or BMW 1-series) but it comes with a longitudinal engine/gearbox with three outputs: one on either side for front wheels and one that heads via a Torsen T1 center diff to the rear diff. 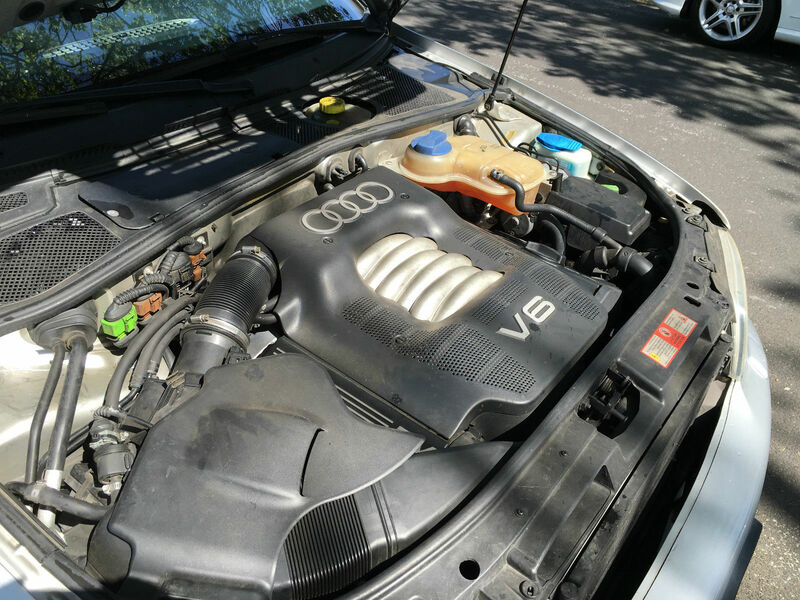 Find this 2001 Audi A4 Quattro V6 5-Speed here on eBay bidding for $510 with 2 days to go, located in Redwood City, CA. 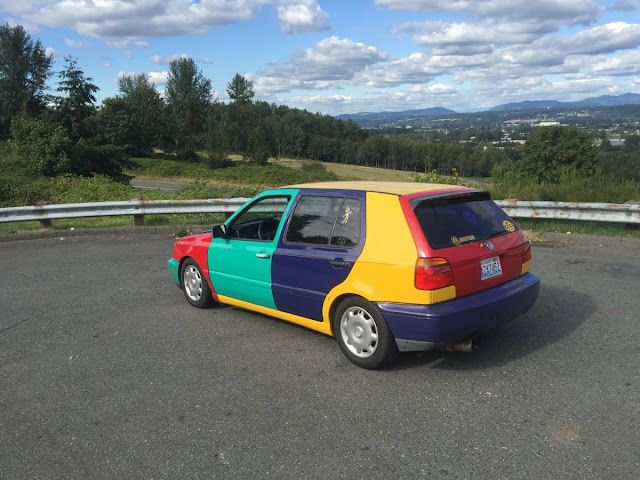 Seller submission from BionicTorqueWrench. 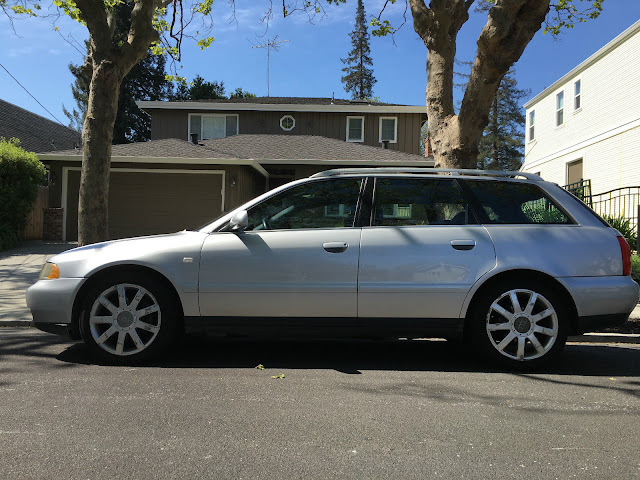 This A4 wagon represents the best of breed for B5 generation powertrain in terms of longevity -- the V6 wasn't known for cooking oil like the 1.8T or popping turbos like the 2.7T, and the manual transmission was designed to last for decades (although the seller admits this one does grind 2nd gear if you try and shift quickly). The 2.8 liter V6 wasn't a bad piece of engineering, the 30 Valve (3 intake, 2 exhaust per cylinder) DOHC setup was modestly tuned at 190 horsepower and 207 ft-lbs of torque from the factory -- not exactly a screamer, but decent for the late 90s early 2000s. 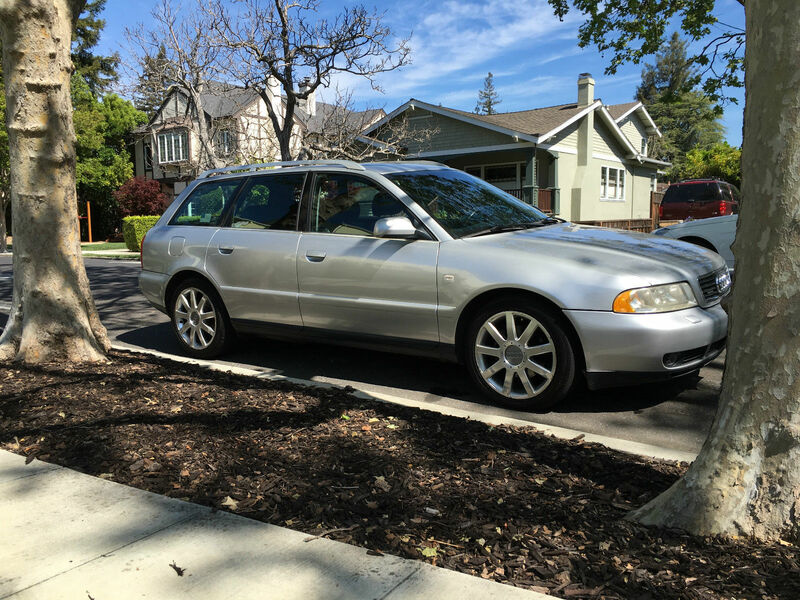 Ive got an uncle that loves high mileage audis, unfortunatelu i once owned a high mileage b5 s4... i loved driving it, i hated the time and money i put into it. Of course now i look at any auto job and thing, well it cant be as bad as the clutch on the s4.